Planning a beercation? Head to Halton, which boasts a half dozen places where you can sample inventive local brews. If you can’t manage to fit in visits to all of the stops, let your taste preferences be your guide. To make your getaway easier to plan, we’ve highlighted the best breweries for every type of beer lover. 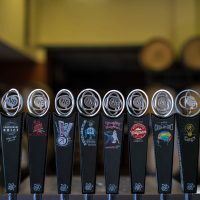 Cameron’s Brewing Company in Oakville has been recognized over 200 times at local, national and worldwide brewing awards for its classic ales and lagers. The brewing team recently achieved the feat of taking home six wins from the 2018 Ontario Brewing Awards, with the Red Ale, Dark Lager and Doppelbock all receiving gold. On the global stage, it announced an amazing win this past summer, with a 2018 World Beer Awards World’s Best Style Winner for its 12 Mile India Pale Lager in the Hoppy Pilsener category. 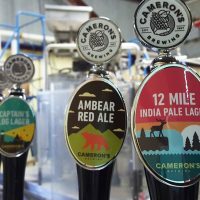 “A number of our hand-crafted beers have been receiving medals consistently every year, which means we must be doing something right,” says Jason Britton, Cameron’s brewmaster. Love to pair your pint with great food? Head to Burlington for two great places to pair your pint. 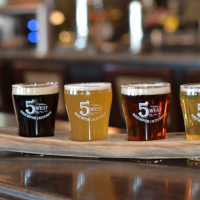 5West Brewpub and Kitchen in the north end is just that – the spot to raise your glass to craft beer paired with an exceptional menu, featuring dishes using craft beer in the recipes and cooking process. The pour list features local craft beer and ciders along with ten-plus Signature Series beers brewed onsite using the best in Canadian, British, American and German hops. Selections include a stout, radler, hefweizen, and three different ales. 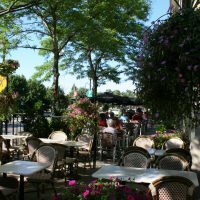 In the heart of downtown Burlington, Pepperwood Bistro and Brewery serves its own on premise brewed beers. House brews are offered by the pint, so you’ll want to enjoy one on the outdoor shaded patio with something from the fantastic menu in the dining room. Try the Pepperwood Cream Ale or Monkey Brown. Love rare and hard to find brews? If you’re looking for exclusive brews, Nickel Brook Brewing Co.’s Bottle Shop in Burlington always has rare bottles available. The Nickelbrook team is constantly brewing up new ideas, which means many of their beers don’t last long. Most of the rareties come from “The Funk Lab”, a facility where their greatest experiments are born, dedicated solely to small-batch sour and barrel-aged beers like the seasonal Dry-Hopped Plum Uber and Florida Forensics Blood Orange Table Beer. The cutting-edge brews created here are the product of innovation, experience, science and a little bit of chance, and are introduced on the first Saturday of every month. Their beers are not likely to be under the radar for long, but Milton’s Orange Snail Brewers is still proudly small. You may find its Iron Pig Pale Ale in the store or on tap, but the 16 Jasper IPA, Rattle ‘n’ Nemo Red Ale, and Red Session NPA are best snapped up at the on site tap room and retail store. 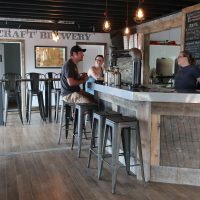 Plan to brew up a few days in the area? You may want to further explore Burlington, Oakville and Milton. These three cities offer plenty of diversions to round out your tasting trip.